Our traditional shave soap is formulated to create a rich velvety lather to condition the skin and assist in a closer shave. Refill for travel size bowl. 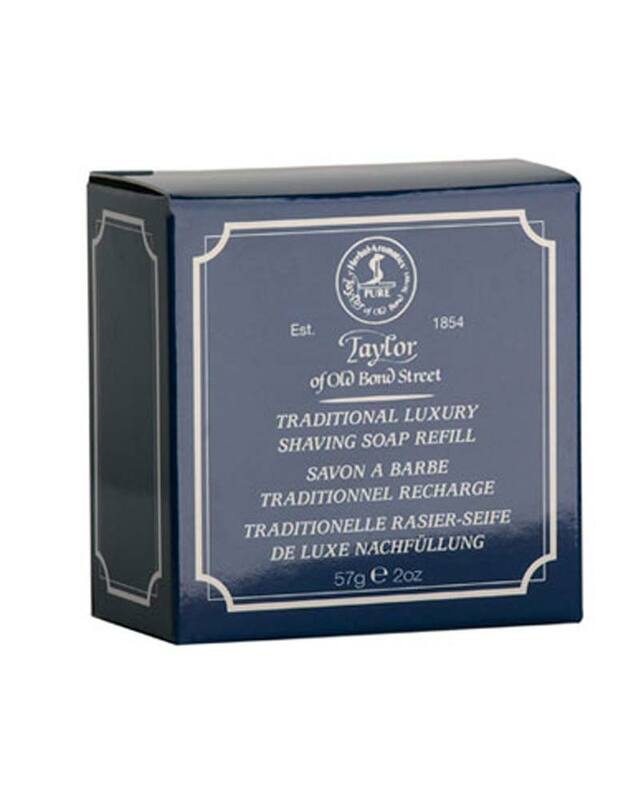 Taylor of Old Bond Street’s traditional shave soap is formulated to create a rich velvety lather to condition the skin and assist in a closer shave. A Classic Shaving Soap which blends fresh citrus with precious Cedar and Oak woods. Together with virile undertones of musks over a floor of Sage, Rosemary and Petitgrain it forms an alluring composition which stimulates the senses and excites the emotions. Create a lather from the shaving soap in a dish by means of a shaving brush. Apply the rich lather on your skin. Enjoy a thorough and smooth shave.